McCain Australia will be moving into a new “state-of-the-art” robotic cold storage facility in the Melbourne suburb of Truganina. The facility will be run in conjunction with Dutch cold storage provider, NewCold, and will include new automated pallet handling systems. McCain is expected to move into the facility in July 2017. The announcement into McCain’s is another example of food manufacturers further investing into Australia. Taso Kourou, Supply Chain Director with McCain Foods ANZ, said the facility upgrade would drastically improve logistics capabilities. “The storage and handling of McCain’s frozen products in the new automated facility will give us a more stable temperature regime and highly accurate stock control,” Kourou said. McCain’s Regional President, Louis Wolthers, said the McCain team is keen to see the outcomes of the new agreement take effect. 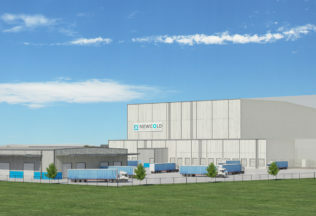 “From a sustainability perspective, through the use of the warehouses’ highly controlled in-and-outflows combined with efficient cooling equipment, energy usage per pallet stored is up to 50 per cent lower compared to a conventional storage option,” Wolthers said.